I'm glad to welcome you to the pages of our virtual "cat's house". My name is Natalia Efremova. 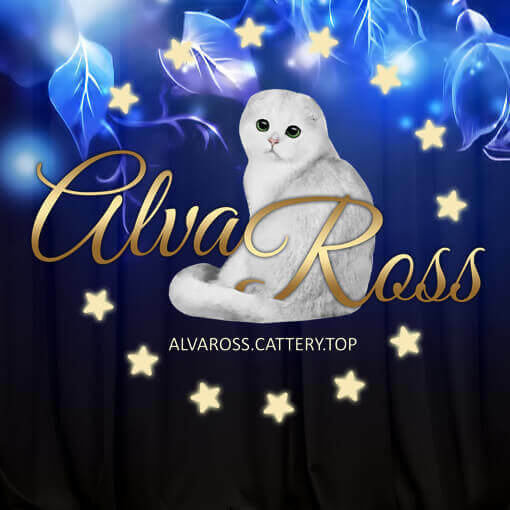 I am a certified breeder-felinologist and the owner of mono-breed Scottish cats cattery AlvaRoss. 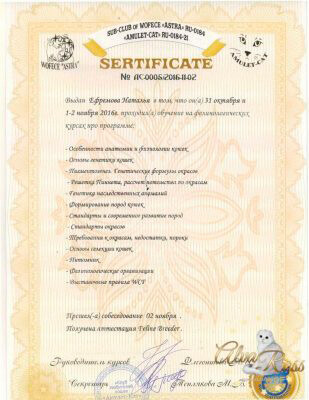 Our cattery is located in Russia, in the city-hero - Volgograd. 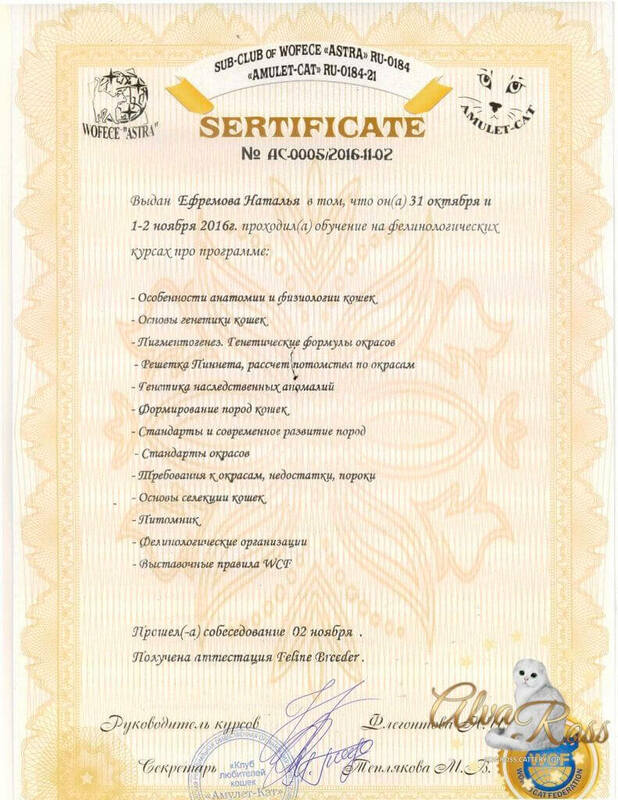 The cattery is officially registered by WCF and is a member of two cat lovers clubs: "Amulet-Cat" (WCF) and "Zoomir" (OFA). 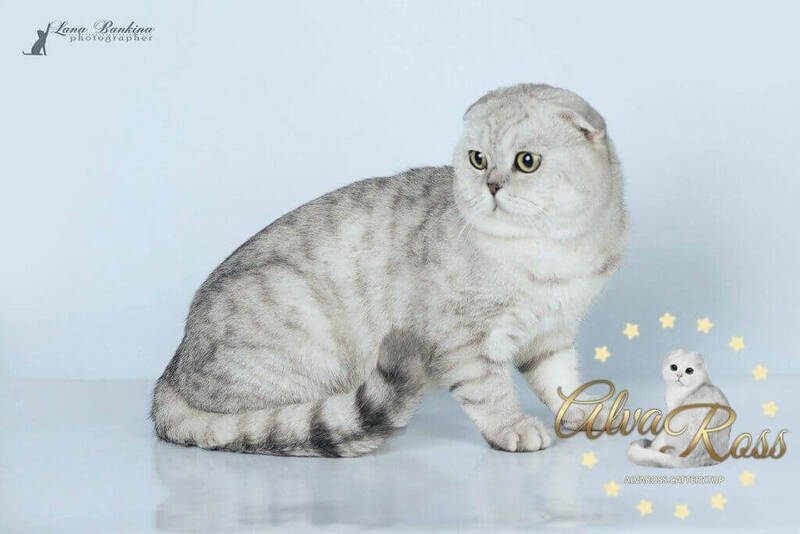 The breeding work of AlvaRoss cattery is aimed at obtaining healthy offspring, that will best meet the standards of the breed, will correspond to the standards of the breed as much as possible, as well as at improving and consolidating the characteristics of this breed. Now we have a few animals, so every our cat gets enough attention and care. 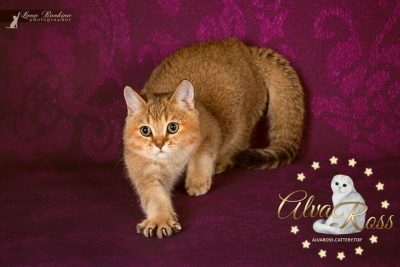 Our breeding cats were purchased in famous catteries of Russia and Ukraine. 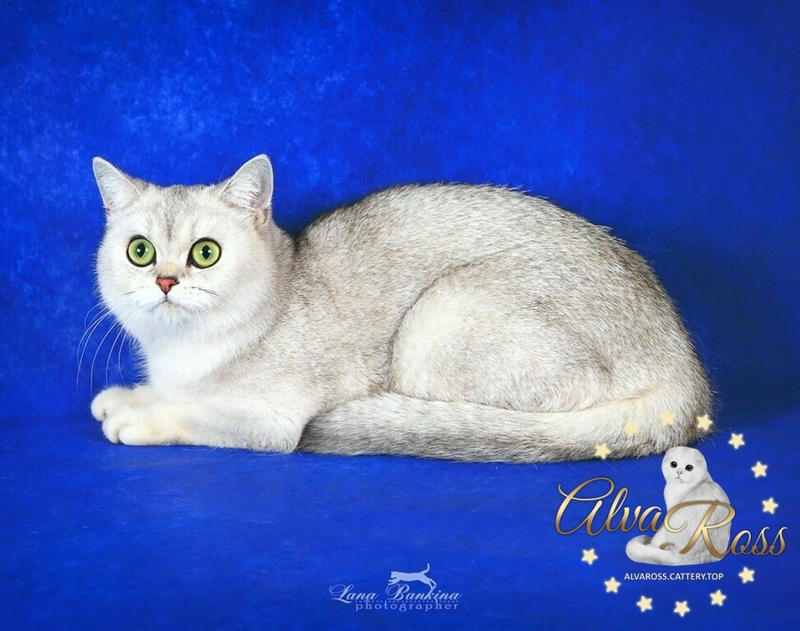 AlvaRoss - Scottish cats cattery Volgograd - registered under the international system WCF. We regularly vaccinate them and examine them in a veterinary clinic. All our cats are perfectly socialized! They have a stable psyche and remarkable character. These animals are affectionate, people-oriented. They love to play at any age, get along well with other animals and even dogs of large breeds! Scottish cats are perfect in everything! In my opinion, cats of this breed are ideal for home keeping. Scottish cats feel great as a companion for a single person, as well as living in large families with children. These cats are always in a great mood! And communication with them, believe me, charges positive for the whole day! No wonder that cats of this breed are called "cat-clown!" And of course, these cute, doll-like faces that are called "baby face" can not leave anyone indifferent. 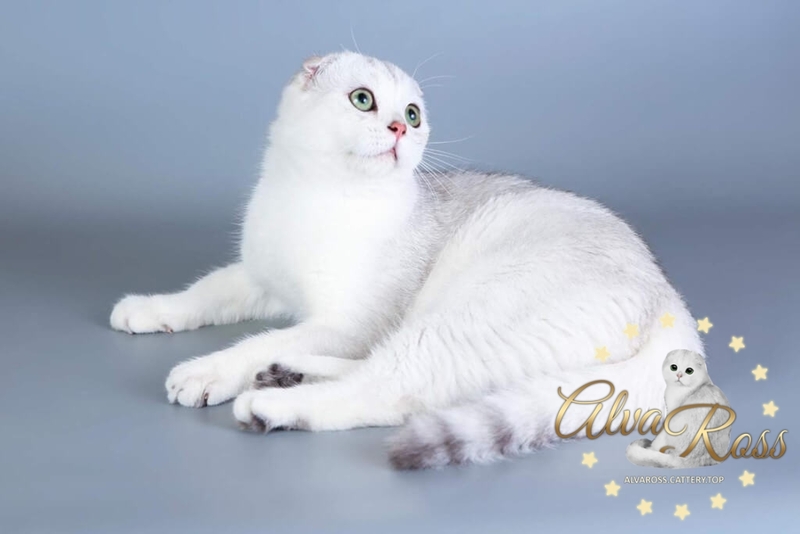 Small and tightly folded ears combined with large, round eyes that have a surprised look, - all this gives the representatives of the Scottish breed a special charm. Separately I want to note the fur of Scottish cats. It is soft and plush. You get real pleasure when you touch it! In addition, their fur does not require special complex care, even if it is semi-longhaired representatives of this breed (Highland Fold, Highland Straight). And what a variety of colors! 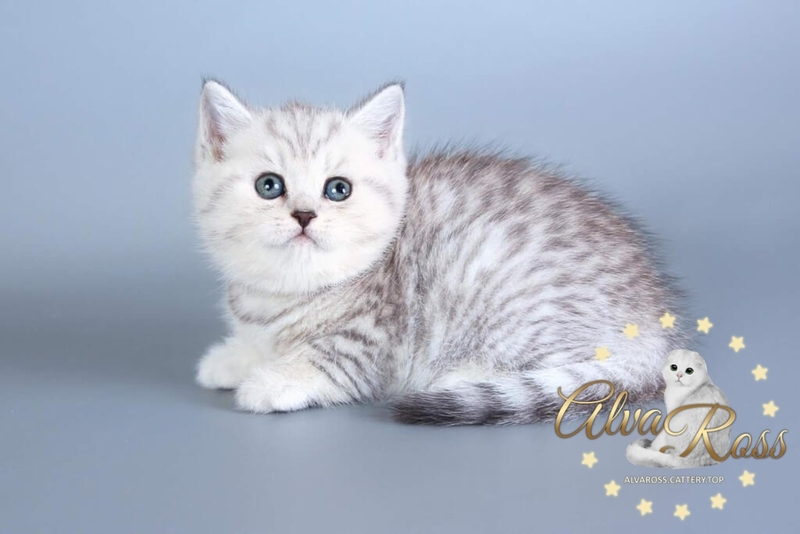 Cats of this breed have a very rich palette of colors: solid, tabby and their combinations with white (van, harlequin, bicolor). as well as golden and pointed variations of the above colors. Perhaps no other breed of cats can boast of having so many colors! How did the history of our Scottish cats cattery begin? My first acquaintance with this breed took place in 2008. On a cold autumn day, I with the eldest son came to the pet market. Our attention was attracted by a small fluffy lump with large sad eyes, wrapped by a woman-seller in a woolen scarf. 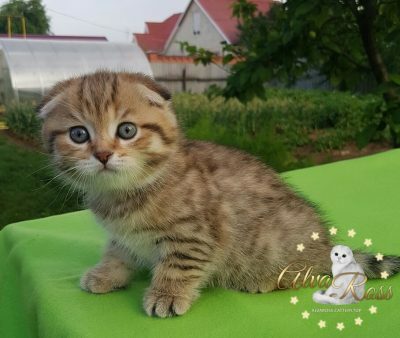 My son began to persuade me to buy this kitten. 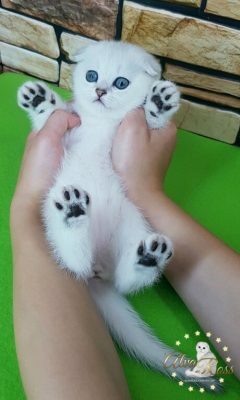 The price of the kitten was, in my opinion, high enough, but the seller claimed that the cat was pedigreed, Scottish! Looking into the pitiful eyes of my son and the big eyes of the kitten, I could not resist! So the money that was set aside to buy new winter boots was paid for the kitten with a woolen scarf. No documents were given to us, and then I did not know why they were needed. So we became the owners of our Lylechka - phenotypically Scottish Shorthaired (Scottish Straight) of blue color. Our the first and the main cat! 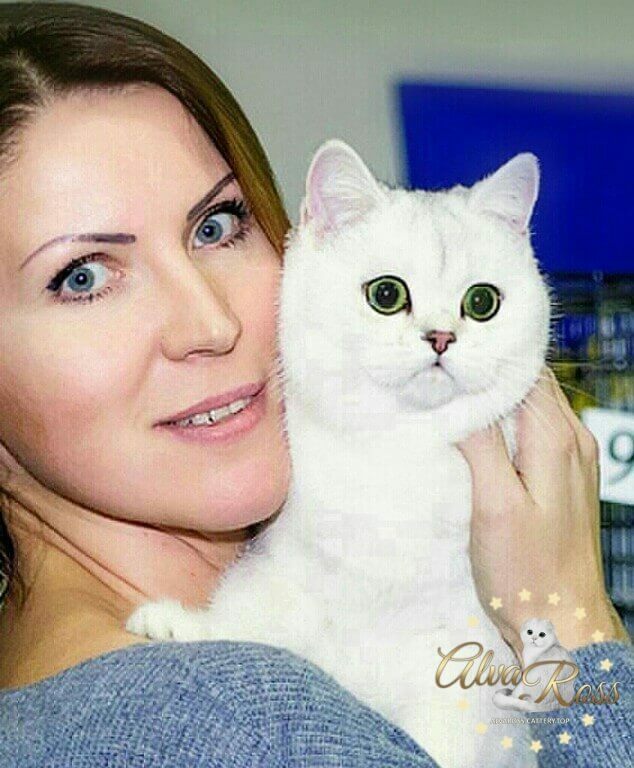 Already later I visited an international cat show, talked to breeders, admired the beauty of their stunning animals and fell in love! I fell in love once and for all! I fell in love with the Scottish Fold breed! I became seriously interested in this wonderful breed, I began to read articles, books, materials on the Internet, ask professional breeders. 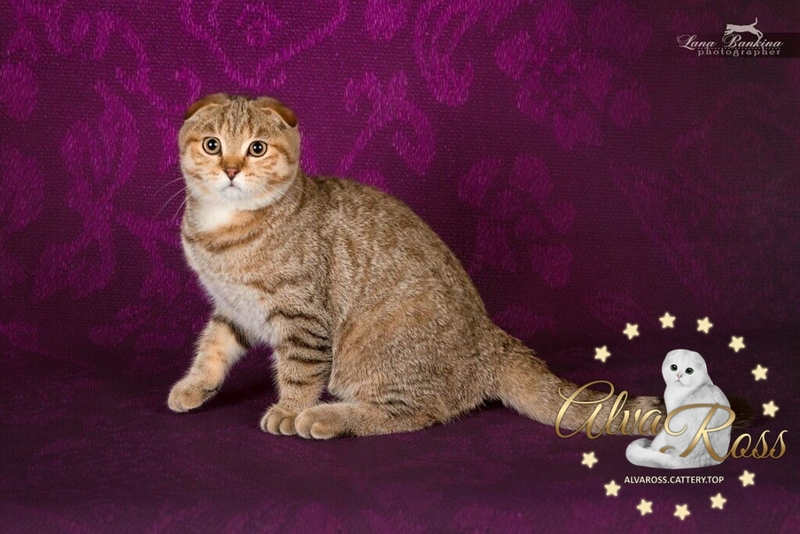 As a result, we bought our Lexus in Moscow cattery - our first Scottish Fold cat of black silver spotted tabby color. Now he is Grand International Champion OFA. Then there were courses of felinologists, cat shows, couples selection, breeding program, the birth of worthy kittens - all this pushed me to create a cattery. Our cattery is our family business, where every member of the family involved in the upbringing and care of our darlings. 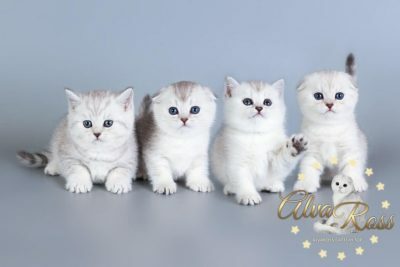 We all rejoice when our cats successfully show themselves at cat shows or when new kittens are born. 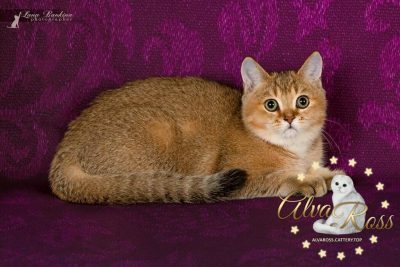 I hope that you will be interested in our virtual "cat house" and you will become regular visitors of our cattery's website. 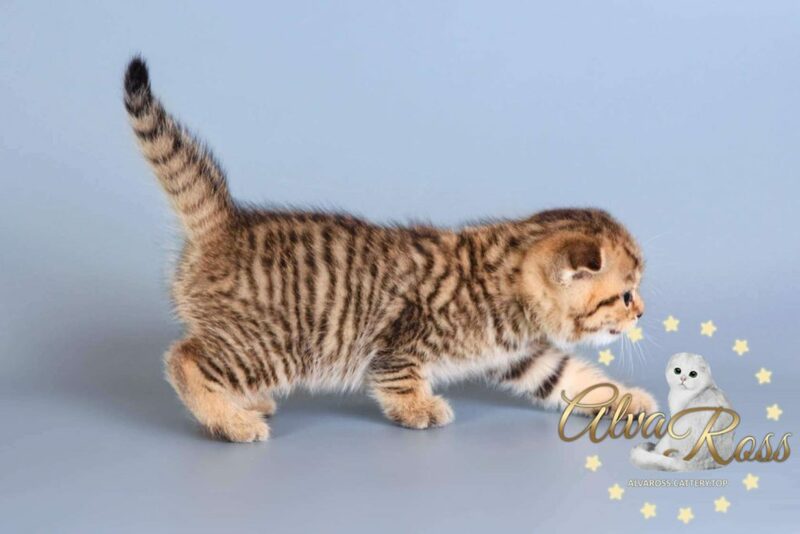 And, maybe, even will become the future owner of one of our Scottish kittens!